The current social and political climate can make it feel difficult to find your center and get clear in regard to what’s going on in. You may have wondered how you can engage in working on these challenges in a way that is empowered and effective – not motivated by fear, anger or judgment. In this course recording you’ll explore – and practice – how the unfolding of inner clarity opens your way to compassion, which further unfolds into empowerment. Living Compassion, for Robert, represents the spirituality that resides in every aspect of Nonviolent Communication. Listen to Robert describe the five core principles of Living Compassion and the relationship of needs to spirituality. Great material for reflection and reference! Watch this heartwarming video as Robert Gonzales works with a volunteer to heal old pain over a situation with her grandmother. By playing the grandmother role, and using three different role play scenarios, Robert guides the woman through three stages of healing. In this inspiring video, Robert Gonzales, veteran CNVC Certified Trainer, talks about his personal search to integrate spirituality into his daily life, and how Nonviolent Communication provided the missing link for this integration and has become the focus of his work. 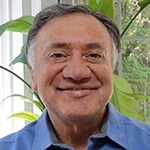 Clinical psychologist, Robert Gonzales, Ph.D., uses an open dialogue with a practitioner to explore effective, compassionate methods to handle a volatile counseling situation. This resource has been newly remastered to a larger, higher quality video. Are you a spiritual seeker who longs for an approach that supports compassion for self as well as profound spiritual transformation? If so, you’ll enjoy this telecourse recording with Robert Gonzales and Leo Sofer as they engage in dynamic discussions about NVC as a spiritual practice.